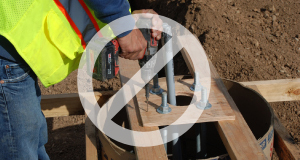 For contractors who are looking to reduce overall costs and who want a more reliable, efficient method of setting anchor bolts in pole bases and piers, that tool is BOLT STAR! Think about how for every pole base you have to measure, saw and drill a wood template and supporting forms over and over again for every different light pole base or foundation. 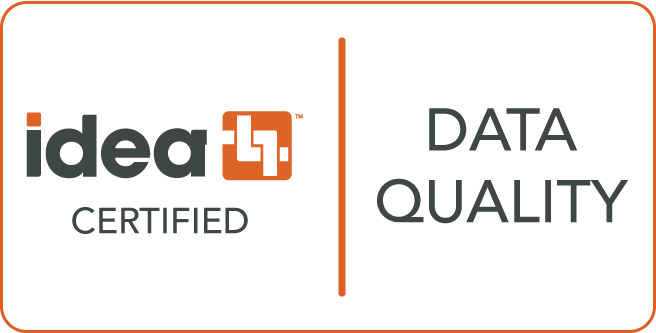 Wouldn’t it be easier if you had a tool that eliminates all that, with over 40 templates in one tool that allows you to quickly adjust to the template supplied by the light pole or column manufacturer? Wouldn’t it be easier if you could reduce the time spent fabricating wood templates and forms from hours to minutes? Wouldn’t it be easier if you could reuse the same tool over and over again, instead of having to build a wood template for each and every base that gets discarded as construction waste? Wouldn’t the tool pay for itself? It’s as easy as 1-2-3 and you’re ready to pour. Set BOLT STAR on the concrete form, install bolts, wire up the cage, and Bam! You’re done. 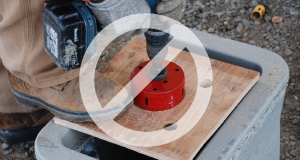 No measuring, cutting and drilling of holes. No more wasted labor and materials in building a wood template for every base. The winner of every major construction industry award for efficiency, quality, safety and sustainability. The experts know. First, time is money so why waste time building a wood template for every pole base? 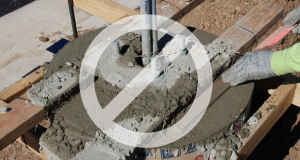 With BOLT STAR, you only need enough templates for the number of pole base foundations you pour each day. 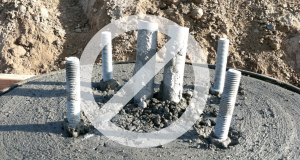 On a large parking lot with say 100 pole bases, if you plan to pour 20 bases each day, then you only need 20 BOLT STAR templates and reuse them 5 times. That’s one-fifth the work and perhaps a week’s worth of labor! BOLT STAR not only improves performance in a significant way, it delivers a safer, 57% more efficient PROCESS for getting bolts set right every time. Risk of costly rework? Zero. What are you waiting for? Let BOLT STAR help take the “fun” out of building wood templates!